Adiós-Adéu-Agur. Another academic year finished. Yesterday, I said goodbye to my fifth school in seven years. Six of my schools have been an overwhelming positive experience, and my issues with my job do not stem from the actual schools but the program that funds my Spanish dream. It never gets easier saying goodbye, and this year I just downright avoided it. Two years are now going by in the blink of an eye, and I am trying to look upward and onward to the future. For those not familiar with the Spanish school systems, I will offer a bit of an explanation. There are two cycles of pre-school. One is from 0-3 year olds and is an optional daycare like environment. The second cycle is also optional, I believe, but is more important. This goes from 3-5 year olds and similar to pre-schools/nursery school/play school/whatever word your region or local school district gives it. They work hard. They learn cursive before print in Spain, but all capital letters are in print. They learn colours and numbers and English and Spanish and maybe Catalán or Basque or Galician or a local dialect like “bable” or “leonés” or “aragonés”. It’s the typical pre-school and kindergarten environment. This level is called “infantil”. Between 6 and 12 years old, students go to “primaria”, elementary school. More and more schools are doing either art (plástica) or Science in English, which means they can name the planets, but they don’t know what a planet is because they don’t grasp the concept in English. My fourth school did it in a correct way. I had to teach Science in English, but they were also receiving more concrete details in Science in Spanish so they got exposed to English as well as learning the concepts in Spanish. Between 12 and 16, they are in “high school”, or ESO (Educación Secundaria Obligatoria). (DBH in the Basque Country. I’m not going to attempt the Euskera). The classes are more demanding in the United States, and their exams are quite difficult. They are graded on a scale of 1-10. Anything below a 5 is failing. I translate it as 10: A+, 9: A, 8: B, 6-7: C, 5: D. However, since they lack the grade inflation that is all too present in some school districts in the US, most students are ecstatic with a 7. When they are 16, Spanish (Catalan and Basque too) students can stop school. Most go on to “Bachillerato”, which is similar to “college” in the UK or an AP-only curriculum in the United States. They have two years of very intense university-prep courses ending with “Selectividad” at the end of the second year, which, averaged with their marks/grades during these two years, determines their university placement. They can also choose to go to a politécnica (vocational) training or professional formation (which I think is more similar to a community college in the States. If you’re not watching Community, you should!). My first year, I was at a secondary school in small-town Andalucía. Looking back, it was a good school. At the time, I could only deal with the problems of living in small-town Andalucía and learning my Spanish was not as good as I thought it was. I don’t remember much about my goodbyes, although I do remember being packed up and boarding the first bus out of that town. My second school was in an affluent suburb in Madrid and was a total mismatch. It was primary, and I just cannot deal with little children. My teaching style is total secondary style (or even uni!). The teachers were cliquey and I did not fit in. They did not renew me because I was too “reservado”. It’s okay, because I landed on my feet. My fourth school was by far the best school I have ever seen in my life. It was ranked third in the entire Comunidad de Madrid. It came with a lot of stress (but there is a difference between stress and anxiety. ), and living in Madrid is not my cup of tea (to put it mildly). However, this school was located in a suburb outside of Madrid. As it was private, although the suburb wasn’t so affluent, the students were. Most were actually bilingual in English and Spanish. I taught everything from 3 year olds to other teachers in this school. I had my own class of Bachillerato students, where I began to find my footing as a teacher. Alas, the school was unable to contract me, and the law of the Comunidad de Madrid only permits two years. I packed my bags and applied for Catalunya. They no longer have the program I currently do, and the Basque Country was my third choice after Catalunya and València. However, it’s more fun to say the Spanish government feels one comunidad wanting independence is the same as any other and just put me here instead :). This school has been a bit different. Not bad different. It was a bit harder to feel integrated due to the isolation of each department (they hang out in their department offices instead of the teacher’s lounge), and I was off in my own classroom. And with their preference for Euskera, it was quite difficult to prove myself and meet people. They do speak Spanish, of course, but it was Basque-only. It was secondary, and of course, my fave classes were Bachillerato. It broke my heart to say goodbye to some of these students and to my colleagues in the English department. And the school is one of the better ones in the greater Bilbao area. I can’t complain. I’ve been happy there. I just don’t make enough for the expensive Basque Country, and the cultural differences between Spain and the Basque Country are sometimes jarring. I don’t know how my new school will be, but I am thinking optimistically. But the thing is, I think next year I might possibly have to say goodbye to the Greatest Peninsula in the World. It’s harder and harder to live on the bread crumbs that is our salary, it’s always harder to say goodbye, it’s harder and harder to pick up and move to another city. I have been sending out CVs since January for both the summer and next academic year. I am trying to make up my mind whether to pursue a master degree in Spanish, as I do miss the world of being a student. But by doing this, I would most likely have to leave Spain. And I have a lot of unfinished business here. Six provinces left to visit, a ton of paradores, I still have yet to climb Teide, swim in the seas of Menorca, obtain a B2 certificate in Catalán, watch the tides at the Playa de las Catedrales in Lugo, and there is the business of those 728 kilometres awaiting me to Santiago. This summer is looking impossible to stay in Spain, so I will probably be in the States for two months. The final decision will be made this week about the summer. I have been blessed to have worked at so many great schools and to have lived seven-going-on-eight years in the Greatest Peninsula in the world. I don’t want to leave. I also am ready to move on with my life and find a bit of stability. Goodbye to the academic year 2014-2015. Here’s to a bright future wherever I end up. Woes of a Spanish Visa. Once upon a time, I was an “illegal” immigrant. True story. I presented the papers for my visa renewal on time, in October 2010. The government of Valencia was really slow about processing the paperwork, and as long as it was “En Tramite”, I wasn’t too worried. A full six months later, they had sent me a letter, informing me of some “missing paperwork” that they already had, but I wasn’t at home to receive the letter. So a month after that, I was checking my status to see if it was still “en tramite” when I saw the UNFAVOURABLE resolution. I went in on my day off to figure out what was going on. They told me I was missing information (which they already had). I emailed the program director who told me to just resubmit all the information, which I did. She highlighted and underlined the explicit information that they needed. In less than 10 days, I was legal. For a whole two weeks. They refused to make me a new I.D card (TIE) as the card expired on 31 May, and this was fixed around the 10th of May. I was hoping to do a master at the Universitat Autònoma de Barcelona, so I went in to talk to student services to see what I could do. They said as long as I presented the paperwork for renewal within the three months after the card expired, I would still be legal and could still renew. The way fate would have it, I wouldn’t receive the scholarship I needed for the master. On the same day I received this information, I received a job placement in Madrid. I accepted it, and made an appointment to get my visa renewed. They didn’t have any available for three months. But as long as the appointment was made within that three-month period, I would be okay. The day came, and they nearly didn’t allow me to submit the paperwork until I showed them proof of the date and all the things that came with it. Four months later (it is now law that they have to give a resolution within three months! It is also very computerized now. Enhorabuena in joining the 21st Century! ), I got the Resuelto: Favorable…but they didn’t want me to make a new card as it would expire at the end of May! I talked them into it, as the one in my possession had expired on 1 November 2010, and it was late March 2012, so I had a card by the end of April that was good for one month. And I redid the entire process again that June. Last year, I was a bit worried that my disappearing passport would cause problems, but I had the world’s nicest guy process the paperwork. Everything went off without a hitch, except for when I got my TIE six weeks later, it expired on June 2nd instead of July 1st. I went in this week to present the paperwork for another year in Bilbao, as the job in Valencia didn’t pan out. I presented all the paperwork without a hitch. My appointment was at 9, they called me back at 9:08, and I was out at 9:18. Compared with the stress of having to go to Aluche in Madrid, which is a 30 minute metro ride from the centre, wait in line outside for hours despite your appointment, then wait in line more inside to be called when your appointment was hours ago…yeah, I cannot think of any benefit from living in Madrid. To obtain my original visa, I had to go from Kentucky, where I was attending the great University of Kentucky (rejected slogan: Yes, we are an actual college and do many amazing things that have absolutely nothing to do with basketball, and both Wisconsin and Duke can go to hell! ¡Que se jodan! ), to Chicago, the nearest Spanish consulate, not once but TWICE. Once to present the paperwork and once to pick up the visa. That also required a new passport, as my golden retriever had found my old one and thought it was more delicious than her special dog food. Most of my money from my summer job went to obtaining this original visa. In Jaén, the original NIE went without a hitch, other than never receiving my letter that I had to go in to give my fingerprints. Good thing I went to check in on it. The second year went without a single hitch too. It was València that messed me up and messed me up good. Perhaps that’s fate telling me that València is cursed. I still would return in a heartbeat! For those of you who have had to live in another country, what bureaucratic nightmares have you had? I have very little photographic evidence of my day in Palencia. I apparently had forgotten my camera that day and only have a few blurry ones taken with an iPod Touch. My apologies. You just have to believe me when I say Palencia, while being one of the less famous provinces (and constantly referred to as “With ‘P’ so it doesn’t get confused with Valencia), is a great rural get away. The capital is a bit boring, I have to admit, but there are amazing villages and mountains in the province, and a statue of Jesus Christ is always watching over you wherever you go in the capital. 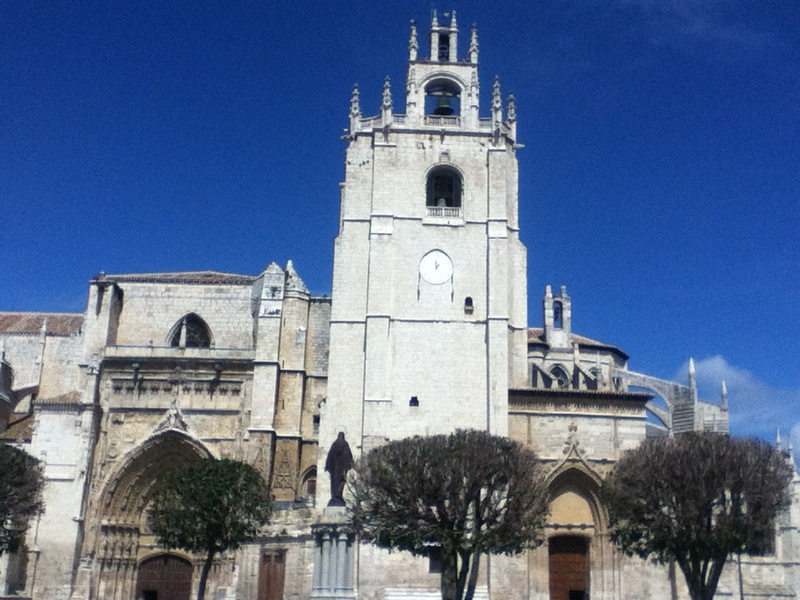 My spring day in Palencia in 2013 began with a three-hour bus ride from Madrid. Three hours is my limits for a day trip, and at the time I was still hoping that I’d somehow swing a placement in either Catalunya or Valencia and wanted to visit places that weren’t so far from Madrid while in Madrid. I remember watching and loving Crazy Stupid Love on the bus. The bus station isn’t much to write about, and I didn’t write a lot about the city in my private journal. I do remember meandering the streets and admiring the Cathedral and Casco Viejo. The river was quite muddy with the spring rains (It had rained for a month in Madrid, where rain is rare. The north, of course, got more.) I was lucky as it was sunny and 15ºC (upper 50s/low 60s range). For me, the highlight of the trip was my walk to the hill at the top of the town to see the statue of Jesus, El Cristo de Otero. It’s Palencia’s most famous tourist attraction. I was beginning to fall more and more in love with walking during this time in my life (it was only two years ago! ), and the walk up the hill was short but fun. The views were quite nice too. I’d like to go hiking in the northern part of the province sometime soon. As I am now 98,72% I’ll be staying another year in Bilbao, I may have my chance soon. 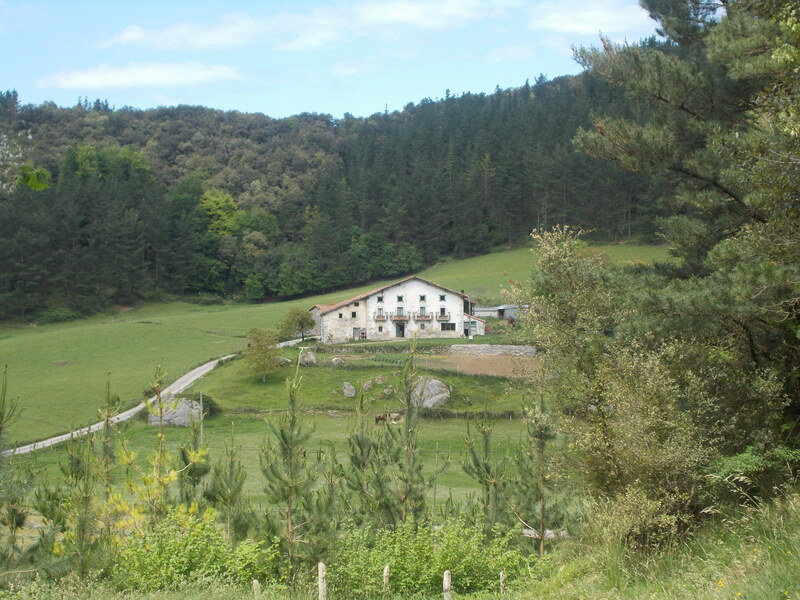 I should mention that the Camino de Santiago Frances passes through 70 kilometres of the province. This statue of Jesus can be seen for kilometres. Located on a knoll (Otero) , the Statue, situated as if it were blessing the city of Palencia, was built in 1931 by architect Victorio Macho and is said to be 21 metres high (or 21 yards or 63 feet high). Of course, like everything in Spain, the actual height is up to debate. There is a museum at his feet, along with an ermita and the grave of the designer. Palencia is the province capital and has around 80,000 people. 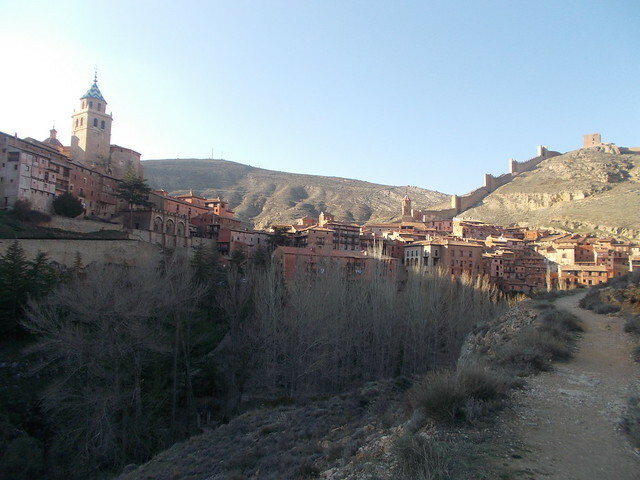 The Carrión River flows through the city and there is a Roman bridge (that has been replaced various times). La Olmeda Roman Village is a house that dates back to 4 AD, and there are some traces of the old city walls. The Cathedral was built between 1321 and 1504 in Gothic style. 40 kilometres from the province capital, peregrinos on the Camino can stop in Carrión de los Condes, population 2300, home of the fictitious sons-in-law of El Cid. The town has a number of old churches and some nice streets to travel back in time on. Pedrosa de la Vega, population 366, may not offer much, but it is located only 1 kilometre away from La Olmeda, a Bien de Interés Cultural. La Olmeda is a Roman village excavated professionaly in the 1960s and also has a museum. Canals aren’t just for Venice, Brugges and Panama. Built in the 18th century, the Canal de Castilla is one of the few canals in Spain and runs through Burgos and Valladolid too. It is 207 km (129 miles) long and was a major help in irrigation after trains took over the transport. Today they are using it to study wetlands in Palencia to improve the biodiversity located along the canal. Another stop on the Camino Frances, Villalcázar de Sirga only has a population of just over 200, but it also has a beautiful church that is burial site of Infante Felipe de Castilla and his second wife Inés Rodríguez Girón. 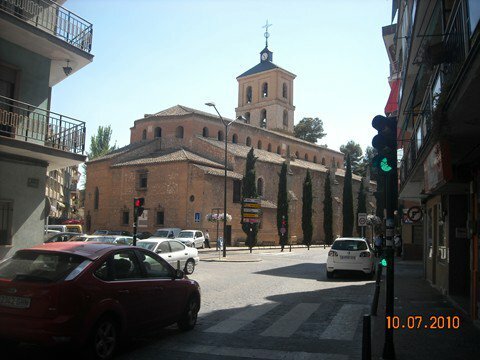 Located 13 kilometres from the province capital, the oldest church in Spain, the Church of San Juan Bautista (John the Baptist) dates back to the Visigoths. The church is located in Baños de Cerrato and Venta de Baños, which used to be a major train transportation hub. Ea eta Elantxobe. Two underappreciated Vizcayan villages. This weekend, my friend asked me if there was anywhere I’d like to go. A very dangerous question. He then modified it with a “an hour or so from Bilbao”, and I still had a lot of places on my list. I wanted a place that public transport doesn’t go or isn’t as well served, and I figured with the hot temperatures (36ºC or 96ºF supposedly), a coastal place would be nice. We settled on these two villages on the eastern side of Urdaibai, the beautiful natural reserve an hour or so from Bilbao. Este fin de semana, un amigo me preguntó si hubiera un sitio que me gustaría ver. Una pregunta peligrosa. Después, modificó la pregunta con “dentro de una hora de Bilbao”. Todavía hay muchos sitios. Quería ir a un sitio que el transporte público no llega o no está bien comunicado, y pensaba que con las temperaturas altas (¡36ºC! ), un sitio por la costa estaría bien. Decidimos en los pueblos de Ea y Elantxobe por la margen este de urdaibai, la reserva de biosfera preciosa situado una hora de Bilbao. We first went to Ea, population around 800, which was a quaint fishermen village with some beautiful views of the Cantabrian Sea. Rumour has it that it is listed in the Guiness Book of World Records for having the shortest name of a village, but I cannot find confirmation of this. In July, they have a three-day poetry festival. Fuimos a Ea, población 800, primero, que es un pueblo de pescadores bonito que ofrece vistas preciosas del Mar Cantábrico. Se dice que está en el Libro Guiness de los Récords por tener el nombre más corto de un pueblo, pero no puedo confirmarlo. En julio, tienen un festival de poesía que dura tres días. There wasn’t much of a beach, but the views of the sea were quite nice. We stopped on a nice terraza to admire the views of the Ea river. No había mucha playa, pero las vistas del mar estaban bien. Tomamos algo en una terraza para disfrutar las vistas de la Ría Ea. The next stop was Elantxobe. I had been to Elantxobe once before, on a very rainy day in 2012 on a short visit to Euskadi. It’s known for having a bus turntable. The bus doesn’t have room to turn around, so there is a platform that turns it around. I have yet to see it, as the bus from Bilbao to Lekeito that passes through Eltanxobe and Ea only runs once every two hours. 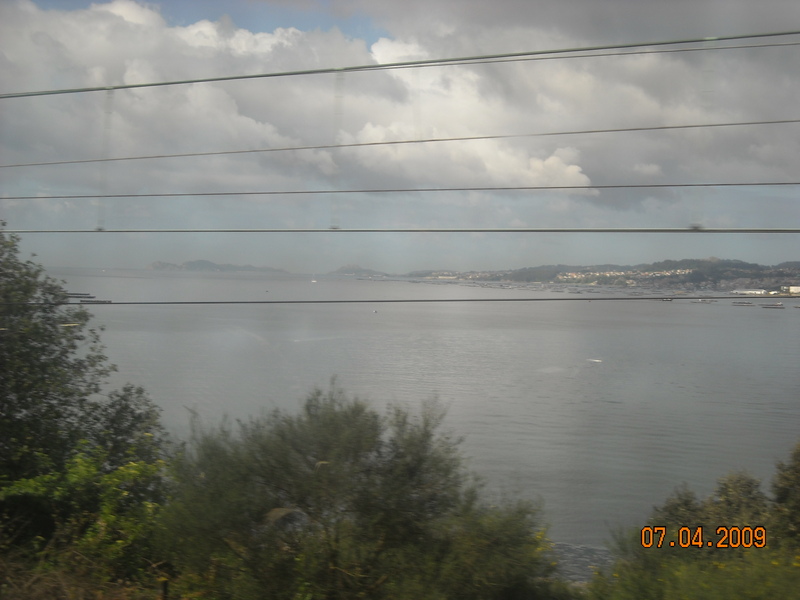 (I know some parts of Spain would be like “so often!”, but Vizcaya’s public transport runs every hour most of the time. I have been spoiled). It also is built into the hill down to the port, which is what I imagined the Cinque Terre to have been more like. My friend was too tired to walk down there, so I may end up back here again some day. There isn’t much to see or do, but for a quiet afternoon on a hot day, these two villages were just what the doctor had prescribed. La próxima parada era Elantxobe. Había visitado Elantxobe una vez antes en un día super lluvioso en 2012 durante una visita corta a Euskado. Elantxobe es conocido por su parada de autobuses especial. No tiene espacio para el cambio de sentido, entonces, la carreterra darle la vuelta al autobus. Todavía no lo he visto, como el autobus de Bilbao a Lekeitio que pasa por Elantxobe y Ea solo pasa cada dos horas. (Sé que hay algunas partes de España que dirían “¡Es mucho!”, pero el transpote público de Vizcaya funciona superbien y suele pasar cada hora.) El pueblo está construido al monte que baja al puerto. 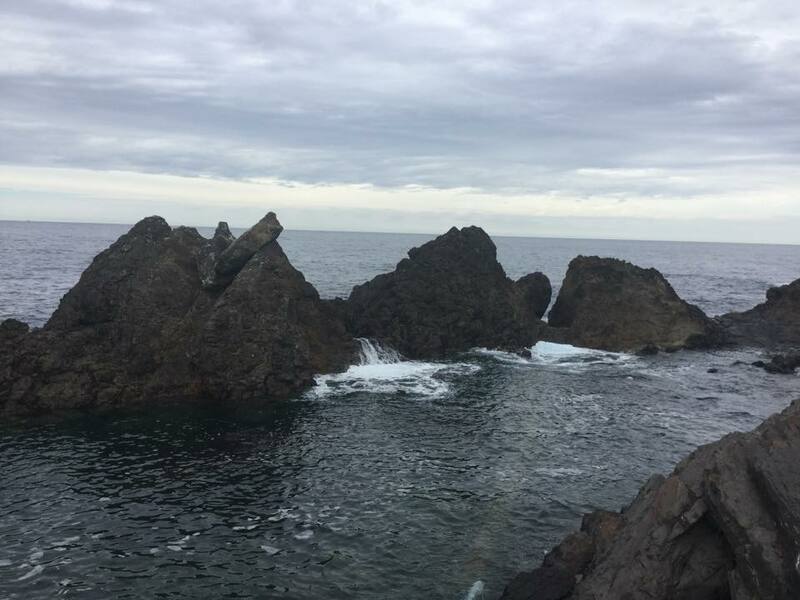 Antes imaginaba las Cinco Tierras (Cinque Terre) para ser algo así. Mi amigo estaba demasiado cansado para hacer el esfuerzo. Entonces, igual un día volveré una vez más. No hay mucho ver pero para pasar una tarde de sol tranquilamente, los pueblos de Ea y Elantxobe era lo que mi hizo falta. Camino de Santiago Etapa 5. Deba-Markina. I did it! Today marked a number of achievements on the Camino de Santiago del Norte for me. I reached the province of Vizcaya (Bizkaia) and tackled the hardest day on the Camino so far. Around 25 kilometres (that’s 15 miles) of three mountains, I think. There are also very few villages and bars today. The day began with a late start. I had intended to catch the 8:00 train from Bilbao, but a fitful night of sleep in a broken bed (yes, my bed broke last night. I hope to write Etapa 6 from a new apartment/flat) lead me to snoozing a bit longer. I am so glad I went today and not Sunday when it’ll be 30ºC (upper 80’s F). The cooler temps of 22 (lower 70s) helped a lot. I ended up catching the 9:00 train, starting Douglas Coupland’s Microserfs on the way. I arrived in Deba at 10:44, and once again was left very unimpressed by the customer service there. I think this town likes being kept to themselves. I stopped to get some tasty integral biscuits and for my staple pintxo de tortilla de patata and café con leche before hitting the road. I also played with a golden retriever and got a map of the Camino in Euskadi, as I had read a lot of warnings that it was easy to get lost on this stretch and there weren’t a lot of arrows. Lie. I think the Basque Amigos del Camino have been working hard to make sure there are a ton of arrows everywhere. I know in Bilbao, the stretch I take every Tuesday to give a private lesson was recently vomited upon with bright yellow arrows everywhere. No chance of missing it. There weren’t quite as many arrows as there are near Basurto in Bilbao now, but there was a lot more than I had been lead to believe. This stretch of the Camino leads away from the Cantabrian Sea, but it stays in sight, thankfully, from the mountains. I wasn’t too sad to say “agur” to Deba (goodbye in Basque) as I climbed the first mountain. A local was climbing back down and told me to take it “with calma”. I guess I was climbing too fast, but I wanted to keep my momentum. I heeded his advice and stopped many times to smell the roses (figuratively, but I did see some pretty flowers all along the Camino today). An hour later I had only gone four kilometres and arrived at the Ermita de Calvario and admired the views. I stopped at the bar for a café con leche con hielo (iced café con leche) and played with a cat before continuing on to Olatz. (Sometimes I do like cats, but I am totally Team Dog). There is an amazing albergue (I didn’t stay as I wanted to get to Markina and Bizkaia and have this hard day over with) and bar in Ibiri Auzoa with amazing, friendly owners. I chatted with a peregrino from Austin Texas and told her want to see in Bizkaia. She’s taking her sweet time seeing all the sights, like I am. I downed my Aquarius de Naranja and braced myself for ta long 20 KM or so ahead. Olatz was a nice little valley between the mountains, and the bar was closed, as usual (they say it only opens at the weekends). I took some time for Whatsapp/Facebook updates (I normally walk with my data turned off) and began climbing mountains again. In Markina, I stopped at the ermita and found it was surrounding three huge stones or megaliths. I just looked up the story for reference. The church was built around the stones, and legend says that if a man wants to get married, he must pass three times under the stones. I did not know that and will have to do that next time. St. Pollino had built his cell beneath these stones, legend says. It was not what I was expecting to see when I entered, and it might just be the coolest thing I have seen all Camino. I got my credenciales stamped at the local peregrino restaurant, bought some integral bread at Eroski and caught the bus back to Bilbao after an exhausting but very worthwhile and amazing day. Right now, I’m waiting for word on various things that are up in the air, and as the weather was so variable, I didn’t want to risk getting drenched on Camino Day 5, so I decided to finally cross off one of my Basque Bucket List items this weekend. En este moment, estoy esperando para saber de muchas cosas que están fuera de mis manos, y como el tiempo es tan variable, no quería arriesgar estar emampado en Día 5 del Camino, decedí tachar otra cosa de mi Bucket List por Euskadi este fin de semana. The hike from Plentzia to Armintza is about 10 kilometres (six miles, easy math! I think. I studied journalism and Spanish so that could be off.) along the coast of Vizcaya. Plentzia is located at the end of Line 1 of Bilbao’s metro, although for the next 18 months or so the last three stops (Sopelana, Urduliz and Plentzia) are connected by bus as they work on the Urduliz station. The bus runs from the Sopelana metro stop every 20 minutes. La ruta desde Plentzia a Armintza es sobre 10 kilometros por la costa de Vizcaya. Plentzia está situado al final del Línea 1 del Metro de Bilbao, aunque durante los próximos 18 meses los últimas tres paradas están suspendidas mientras están trabajando en la estación de Urduliz y hay que coger un autobus que conecta Sopelana, Urduliz y Plentiza. Este autobus es cada 20 minutos. Plentzia is well worth a visit in its own right. 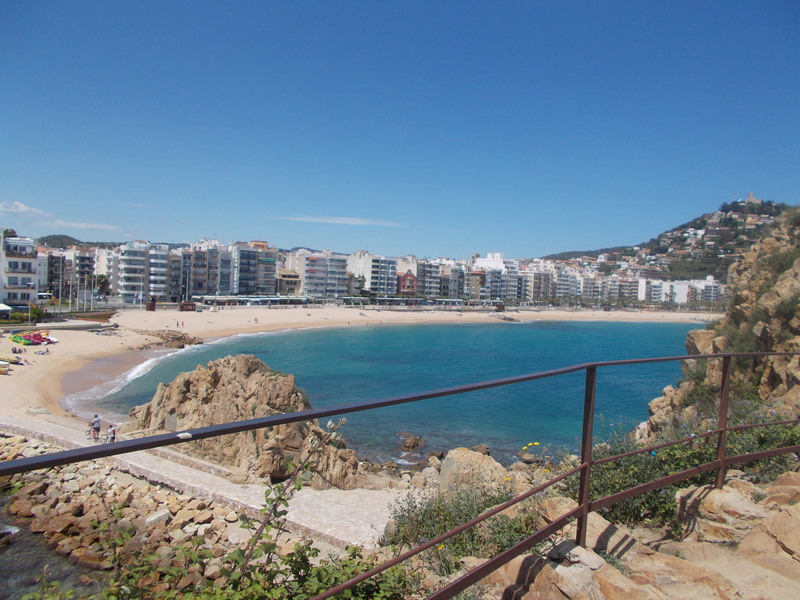 It is a town of 4000 habitants with a river and a calmer beach more sheltered than the nearby beaches of Bakio and Sopelana. 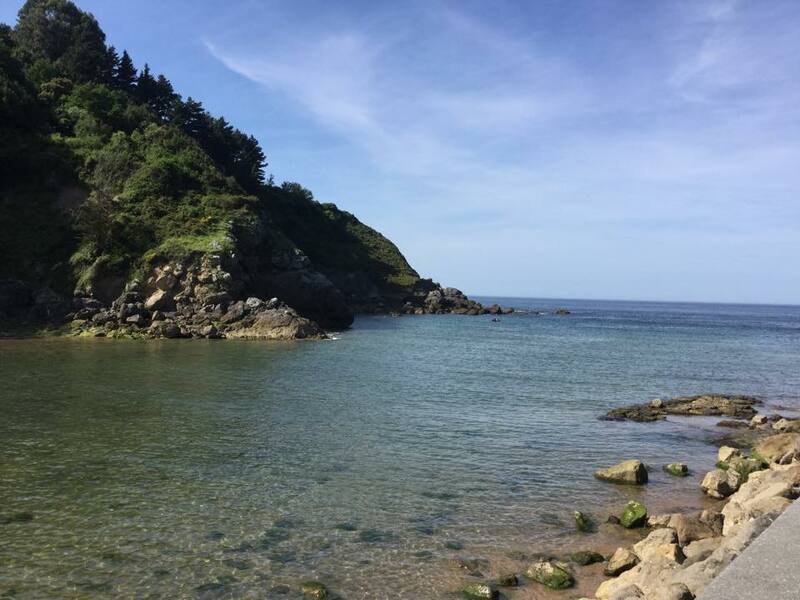 Last year, I took the trek to the lighthouse in neighbouring Gorliz (in my head, I can’t separate the beaches of Plentzia and Gorliz, but I think technically the beach is all Gorliz) with a friend, which I wrote about in one of my first entries.) This time, I wanted to continue on to Armintza, which I had been told was quite beautiful. Plentzia merece una visita. Es un pueblo de 4000 habitantes con una ría y una playa más tranquila que las playas cercanas de Bakio y Sopelana. El año pasado, hice la ruta al faro de Gorliz (en mi cabeza, no puedo separar las playas de Plentzia y Gorliz, pero creo que la playa peretence a Gorliz) con un amigo. Este vez, quería seguir hasta Armintza, que me han dicho es preciosa. I went to Gorliz, which I had never actually been to, by accident, thinking the route left from a different place than it does. I had a coffee and tried to figure out Wikiloc. I just couldn’t get it to work on my iPad. Fui a Gorliz, que nunca he estado, por casualidad, pensando que el sendero empezó de un lugar distino. Tomé un relaxing café con leche y jugé con Wikiloc, que todavia no sé como funciona con el iPad. After pausing for a picture of the church and being greeted by a friendly dog, I left the town of 5000 through the pine forest and immediately found the correct route to the lighthouse. Después de hacer una foto de la iglesia y saludar un perro amistoso, me marché del pueblo de 5000 habitantes por el bosque de pinos y encontré la ruta correcta hacía el faro. I passed the lighthouse and went on past the bunkers this time. Pasé el faro y seguí por los refugios bunkers esta vez. I had heard so much talk about the bunkers that I thought they would be something cool, but they have been abandoned a while and were so graffiti-filled I didn’t bother to even snap a photo. Me han dicho tanto sobre los búnkers que pensaba que serían más, pero han sido abandonados durante mucho tiempo y estaban llenos de grafiti que ni hice una foto de ellos. The route climbs Mount Ermuamendi, which is less than 300 metres (180 feet) but still a “monte”. I continued on through the forest to Armintza. After the lighthouse, the route takes a little over an hour, although I wasn’t paying much attention to the time. La ruta sube por el monte Ermuamendi, aun que tiene menos de 300 metros, es un monte. Seguí por el bosque a Armintza. Después del faro, la ruta tarda una hora y pico, aunque no hice caso al reloj y es una estimación. I arrived in Armintza just as the gathering clouds decided to start raining over Bilbao 27 kilometres (16,2 miles) away. I had a chance to see the port and walk around a bit before heading back to Bilbao, capital of the world (of rain). Armintza is part of Lemoiz, and the bus runs to Las Arenas in Getxo with stops in Plentzia and Bergano, where you can switch to the metro. Llegué a Armintza justo como los nubes empezó a llover sobre Bilbao a 27 kilometros. Tenía la oportunidad para ver la puerta y pasear el pueblo antes de volver a Bilbao, la capital del mundo (de lluvia). Arminta forma parte de Lemoiz, y el autobus va a Las Arenas (Getxo) con paradas en Plentzia y Bergano, donde se puede coger el metro.